Leigh Wilson works on modernism, the contemporary novel and the idea of fiction. I was educated at the University of Warwick (BA (Hons) in English & American Literature 1987), Birkbeck College, London (MA in Gender, Culture and Society 1993), and the University of Westminster (PhD in English Literature 2000). Over the last few years my work has concentrated on three main areas, modernism, occult and supernatural beliefs in the late nineteenth and early twentieth centuries, and contemporary fiction. My monograph, Modernism and Magic: Experiments with Spiritualism, Theosophy and the Occult (EUP, 2013; paperback 2015) brings together the first two in arguing that, for experimental artists in the early twentieth century, magic played a crucial role. I have also co-edited a two-volume Selected Works of Andrew Lang (with Alex Warwick and Andrew Teverson, 2015). The Selected Works has been shortlisted for the Katharine Briggs Folklore Award 2015. Lang was an important figure at the turn of the nineteenth and twentieth centuries whose work has since been neglected. My work on the Selected Works aims to show the significance of his attempt to use both scientific and supernatural models to understand a range of issues. At the same time, I have been developing my work on the contemporary novel through co-editing a series of four edited collections for Bloomsbury to be published through 2014 and 2015, The Decades Series. The volumes in the series are on each decade from the 1970s on, and situate the British novel in the specifics of it historical context at the same time as building up a picture of its most significant formal and generic developments over the period. My current focuses on the idea of the fictional in the contemporary novel. My present research interests centre on modernism and on contemporary fiction, and my current work is on the nature of the fictional. I have supervised four PhD students to completion, and I am currently supervising research on, among other things, Virginia Woolf, women modernist writers and religion, and on photography and fiction in the late nineteenth century. I would welcome applications from students wishing to pursue graduate research on aspects of late nineteenth-century and modernist literature, or on contemporary fiction. 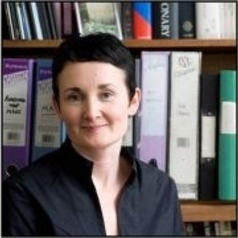 WIth Dr Georgina Colby, I run a project on the Contemporary Small Press which aims to investigate the conditions and possibilities of small press publishing in the UK, and to bring together small presses, writers and readers. See www.thecontemporarysmallpress.com.